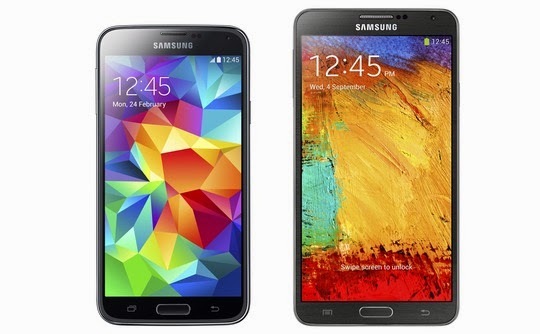 with our comparison let us see what Galaxy S5 has offered us with. with quite a big screen of 5.7 inches and high resolution super AMOLED display. well. So based on this we can expect much more from Note 4 as well. We are ready to start with Galaxy S5 Versus Galaxy Note 4.
would have a higher resolution QHD display. 16 MP rear camera as well with little improvements in front camera to 3 MP. clocked at 2.7 Ghz and 4GB RAM. Note 4 is also expected to be waterproof like xperia z3. increase in memory is expected with internal storage rising to 64 GB. expected price of 52,000 INR which is 865 USD.